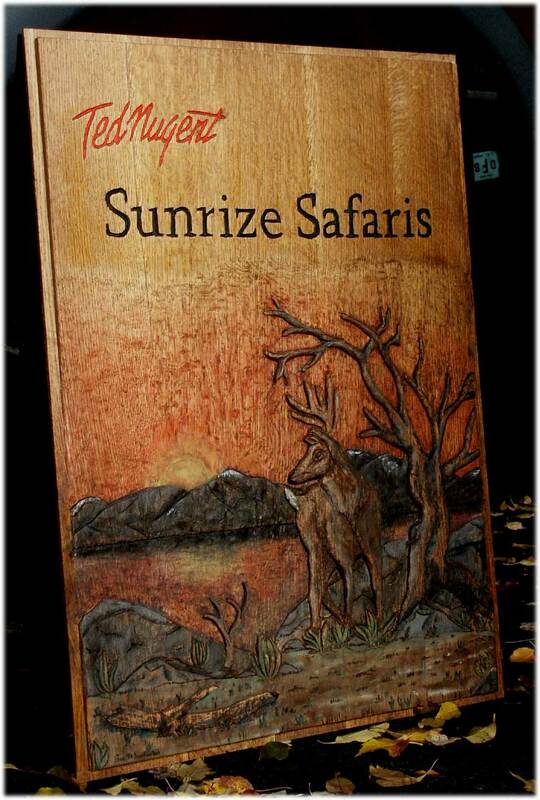 These are our artistic works, the pieces we are most proud of. 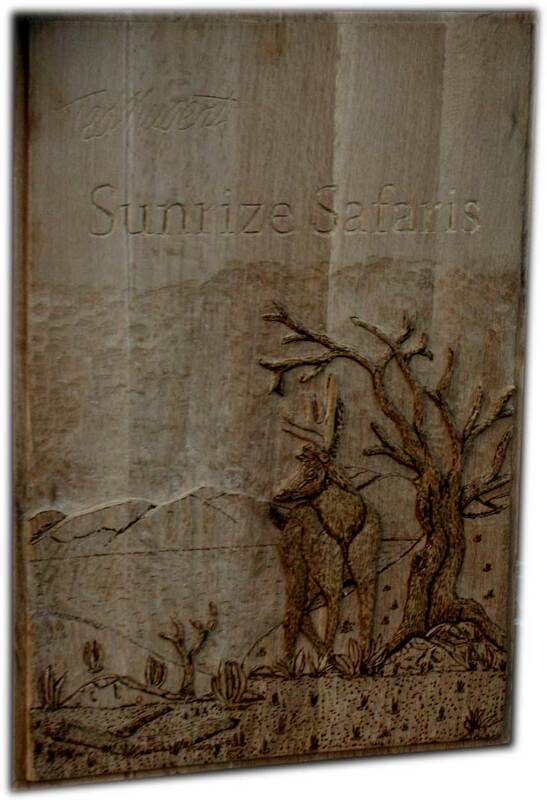 Recently completed - this wildlife relief carving entitled "Whitetail Sunrize" is the first panel formally titled as an individual work of art by Eric M. Saperstein. Our adventure to the YO Ranch and had the opportunity to discuss wildlife conservation, land management, and a wide variety of other topics with Ted and Shemane as well as a wide spectrum of guests and staff. 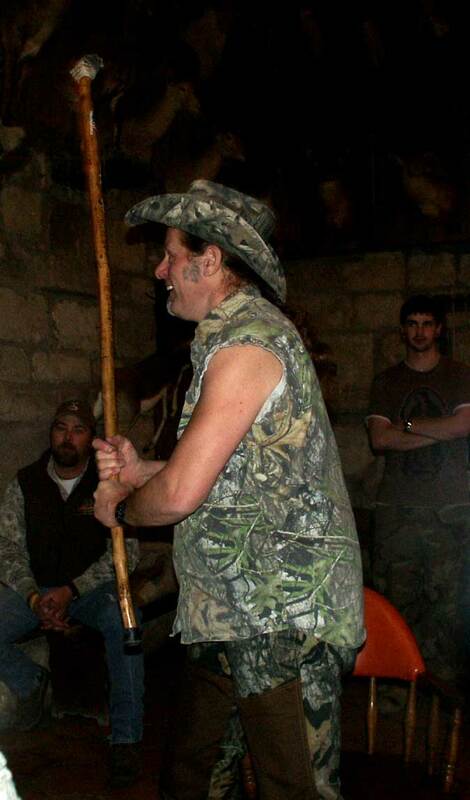 We also had the opportunity to support Ted's charities and nationwide campaigns for youth education - many of which are posted on www.tednugent.com. 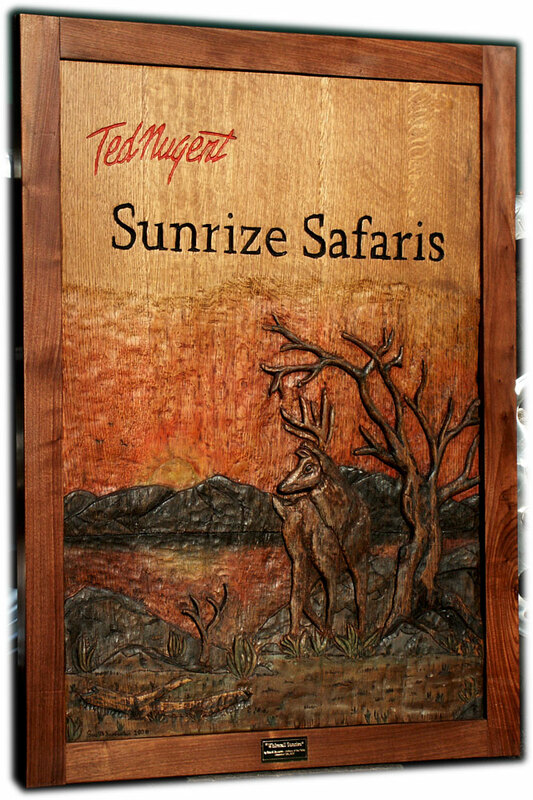 "Whitetail Sunrize" - Printable PDF Article Featuring this Project! "The future of the shooting sports in this country is in the hands of tomorrow's Outdoorsmen and women. 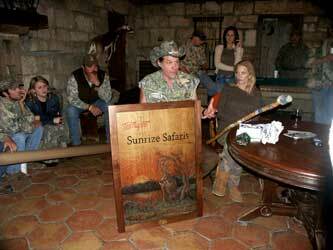 The youth of America must be educated to the Wholesome and valued world of hunting and conservation. 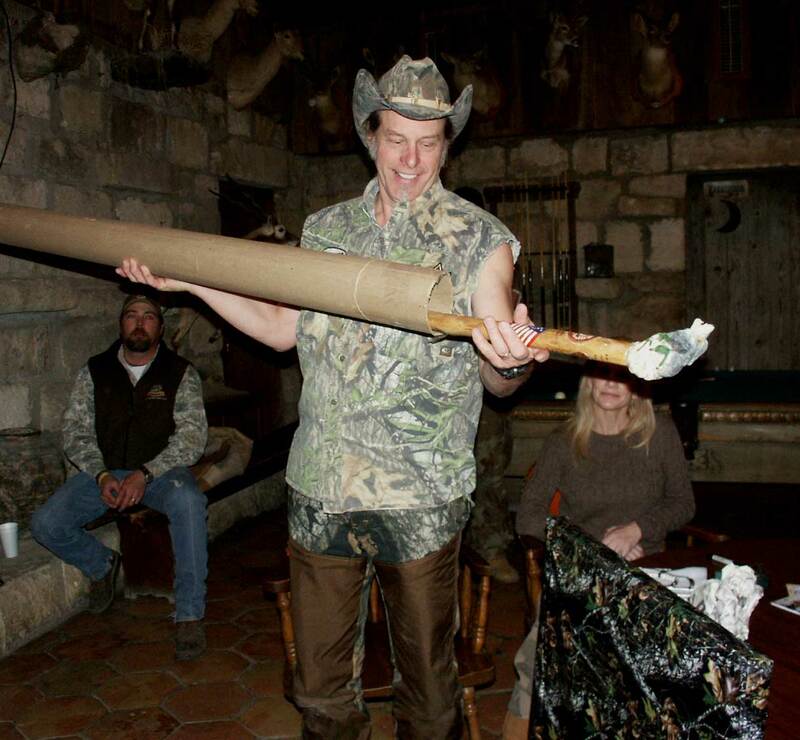 Because rock 'n roll plays such a pivotal role in a young person's life, I will share my wonderful lifestyle and experiences with them." 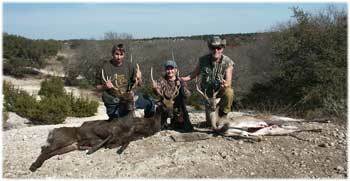 Finally in December of 2007 we had a chance to post more photos! 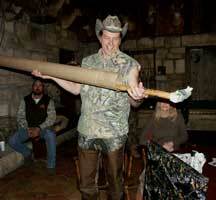 We had a great time, a great group, and a great hunt with Ted and the whole Sunrize Safaris gang. 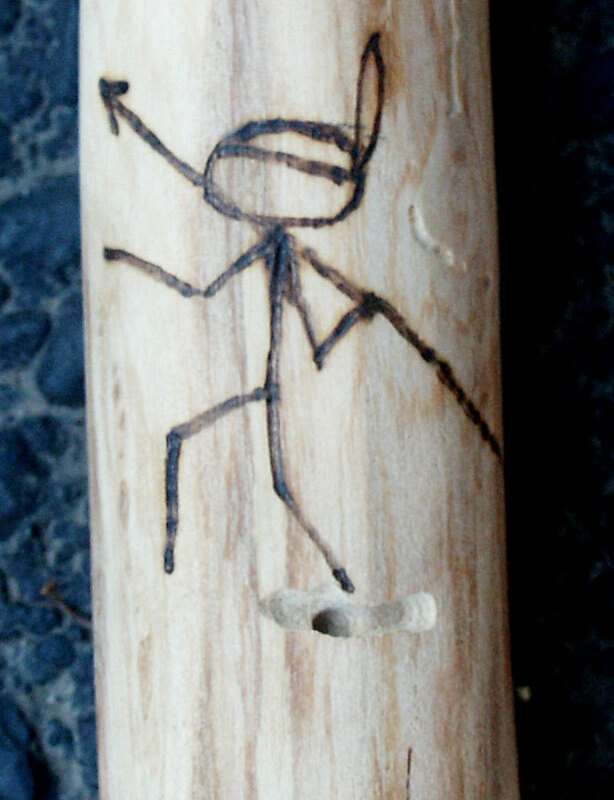 We'd also like to extend a special thanks to Sasha Nugent for her guidance in personalizing Ted's panel and walking stick. 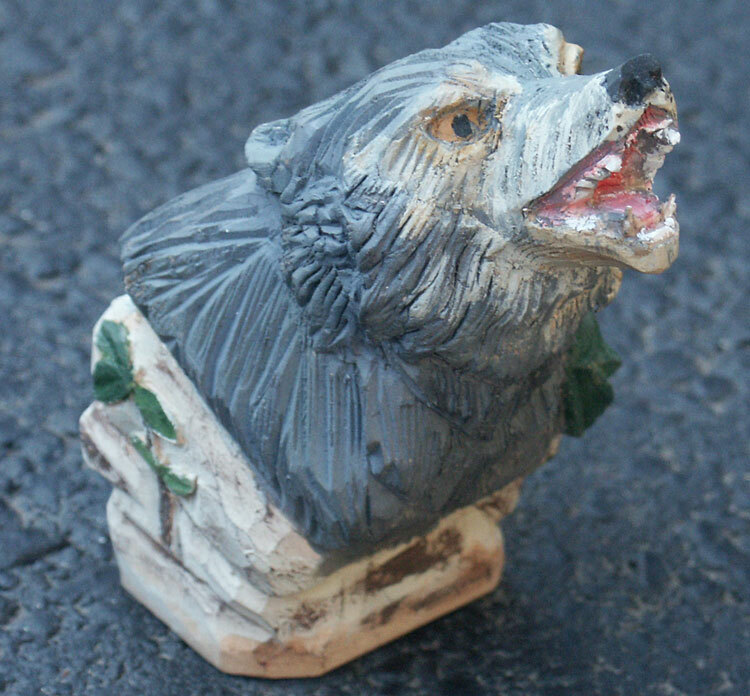 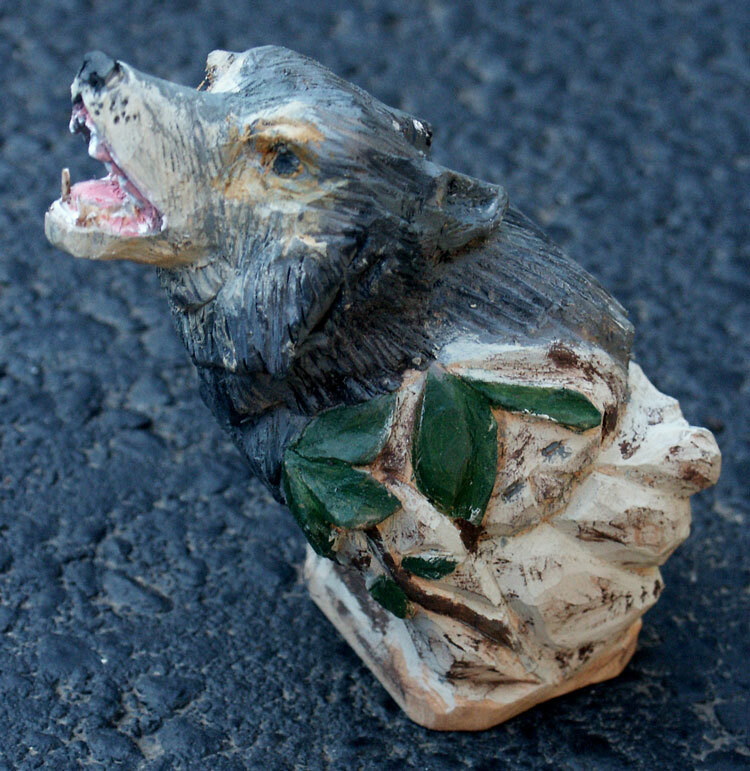 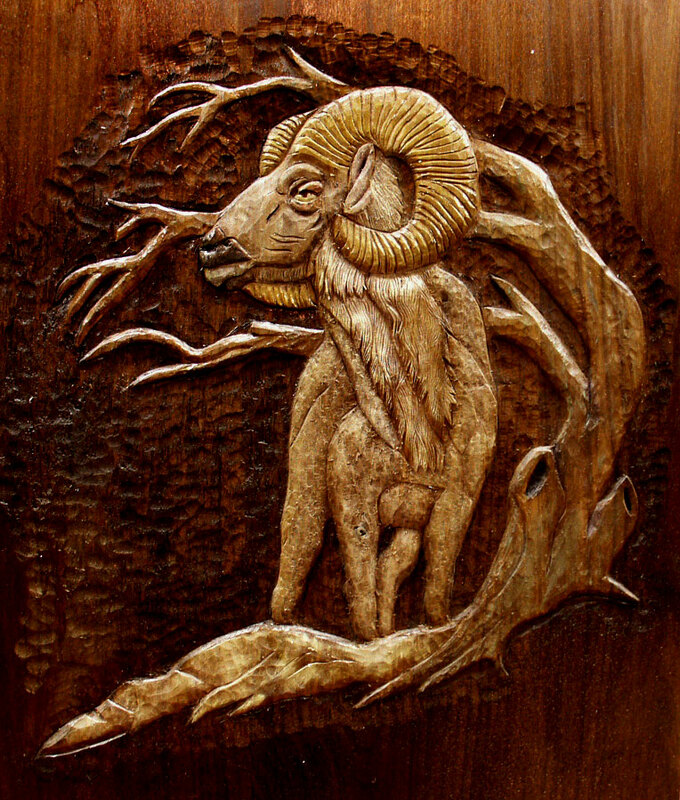 Artisans of the Valley offers a wide variety of carvings on just about anything wood. 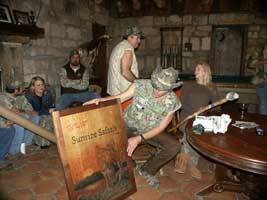 Panels, gunstocks, signs, headboards, furniture, etc. 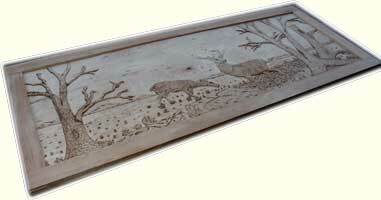 Wildlife theme carvings can be integrated into any custom project. 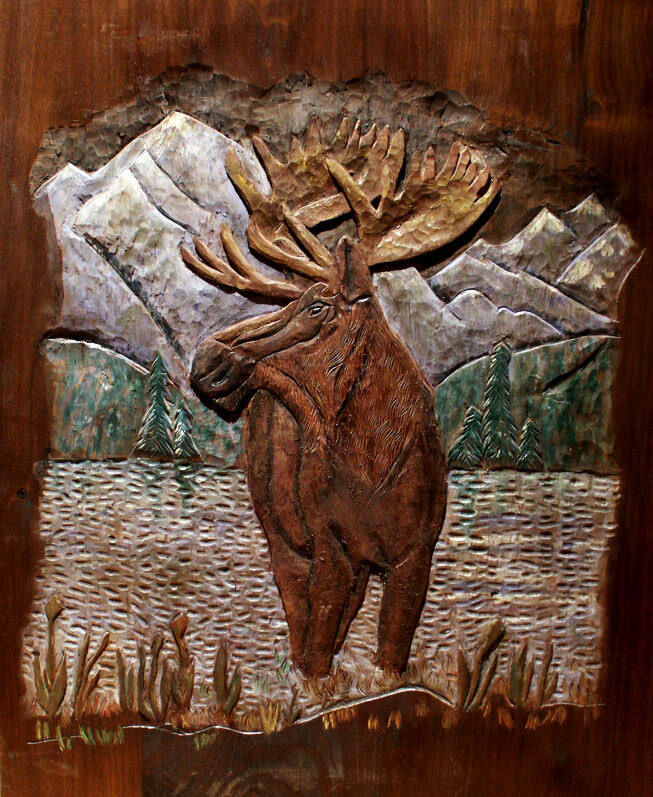 Examples shown are the tip of the iceberg when deciding which pattern to use. 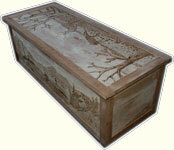 We can select from tens of thousands of stock patterns or develop completely original designs. 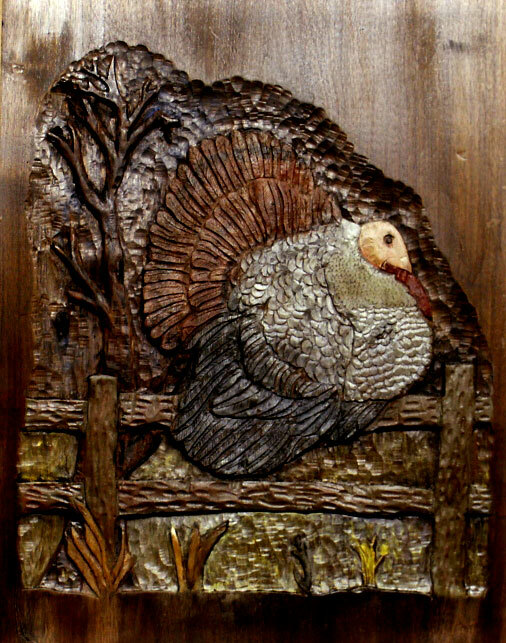 Our wildlife carvings evolve from the patterns through outlines, relief carvings, detail burning, and finally tinting and shading using acrylics to add a lifelike contrast to the piece. Some of our favorite patterns were created by artist Laura Irish. 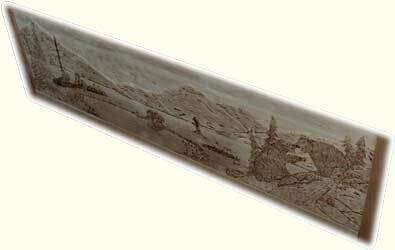 Artisans generates composite patterns using components from various sources including our own original drawings. A significant portion of the wildlife scenes featured on this page boast their basis in Laura's wildlife and landscape designs. 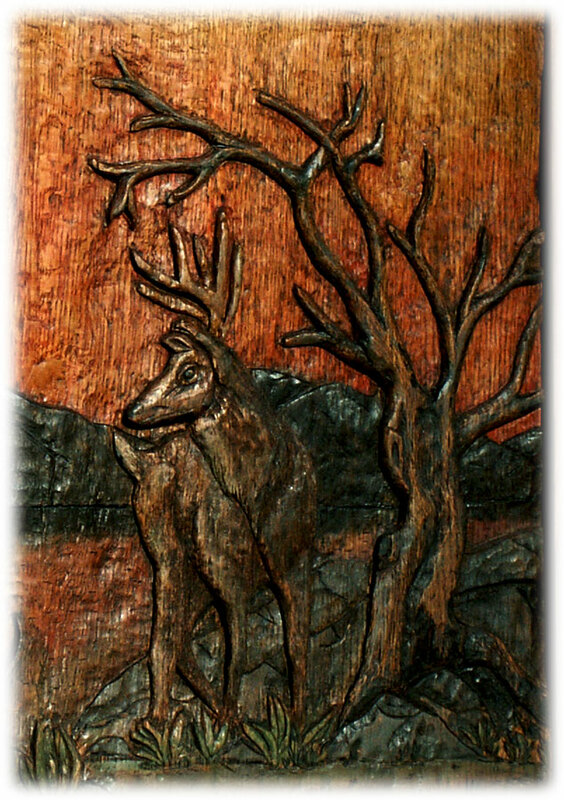 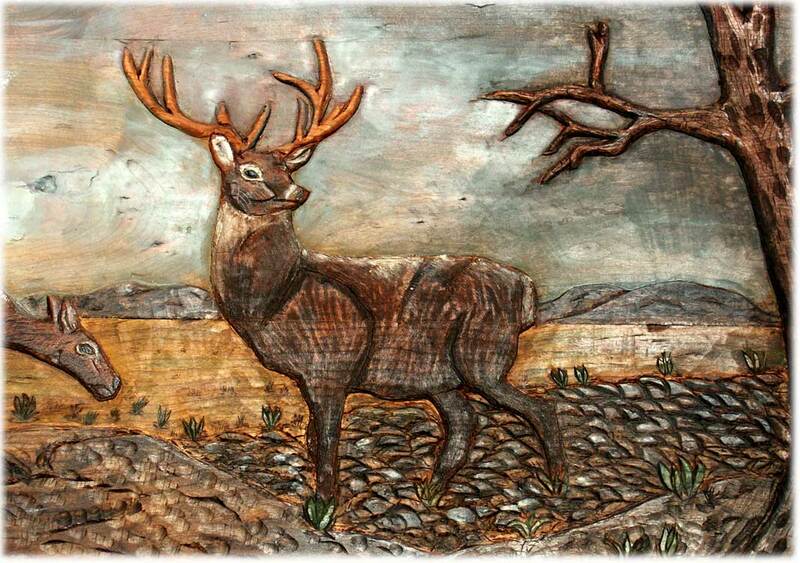 Below "Whitetail Sunrize" is shown during various steps in the carving, detail burning, painting, and through to the completed project. 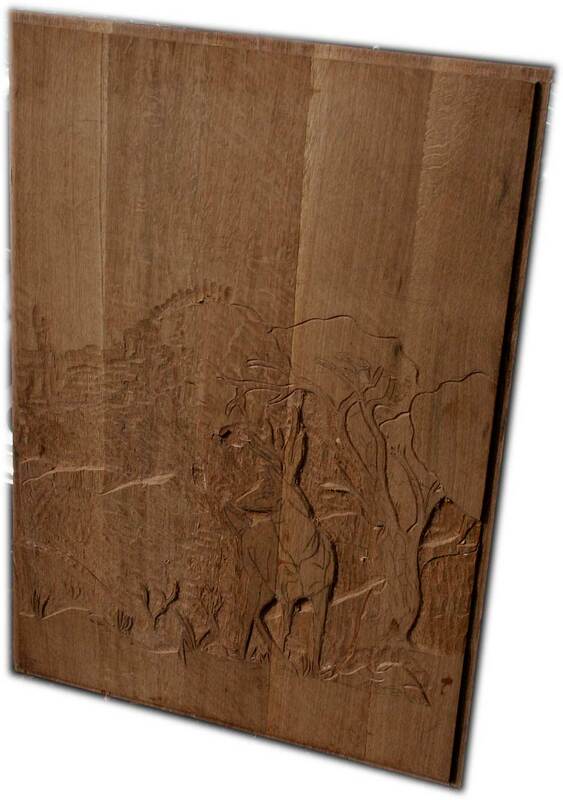 The panels shown below are showcased in context with a custom walnut bar unit in our built-in section. 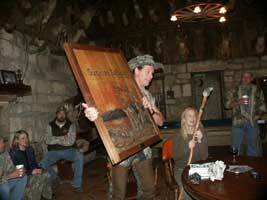 Click here to see the full bar and custom game room. 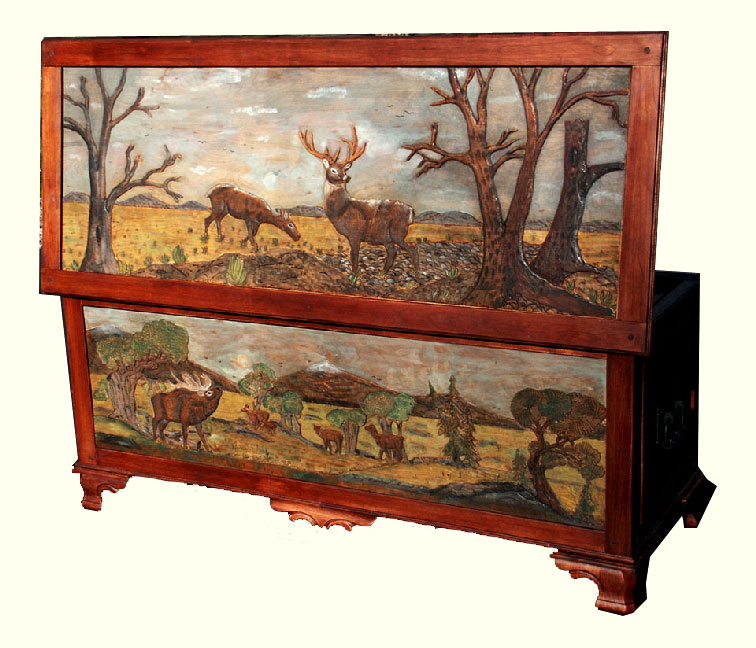 This unique commission is a solid cherry "Safari Chest" featuring three panoramic scenes highlighting Whitetail Deer, Bear, and Elk. 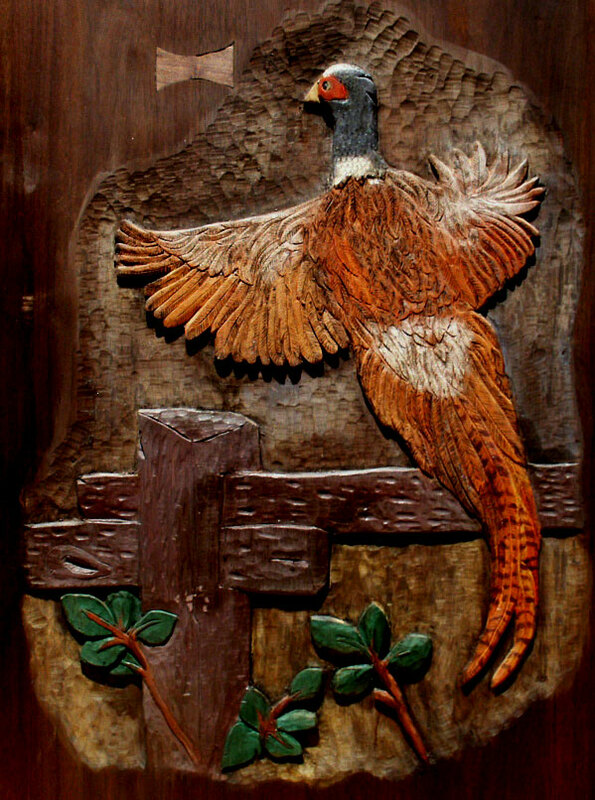 Pre-finishing photos shown below illustrate the detail level of the carving and the woodburing. 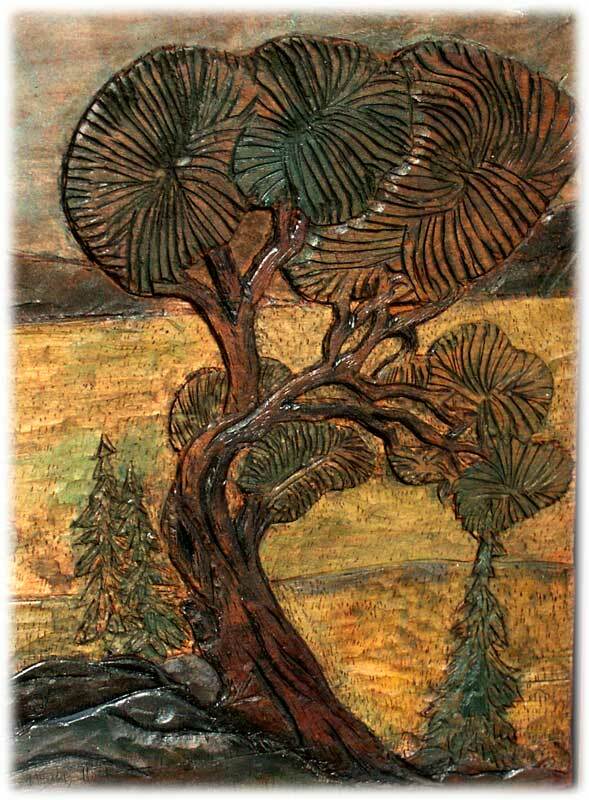 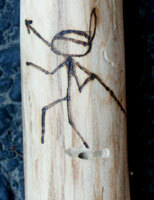 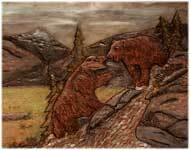 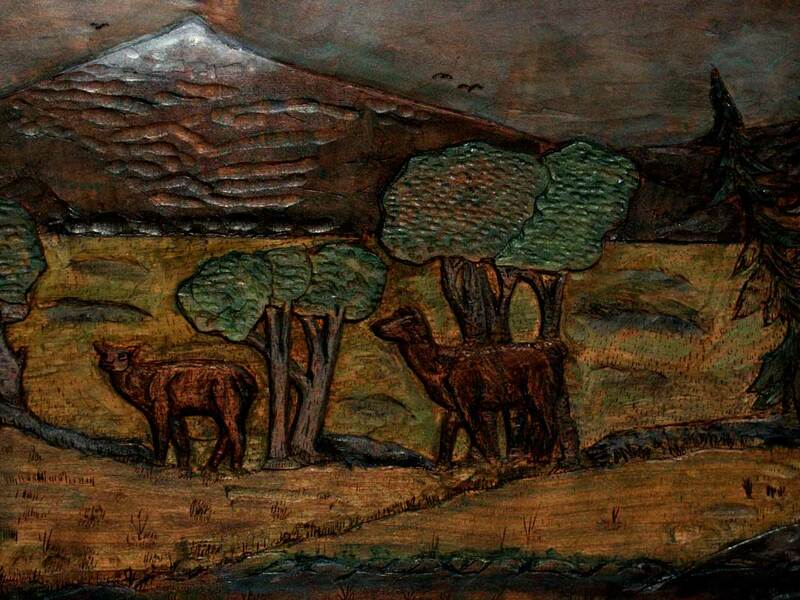 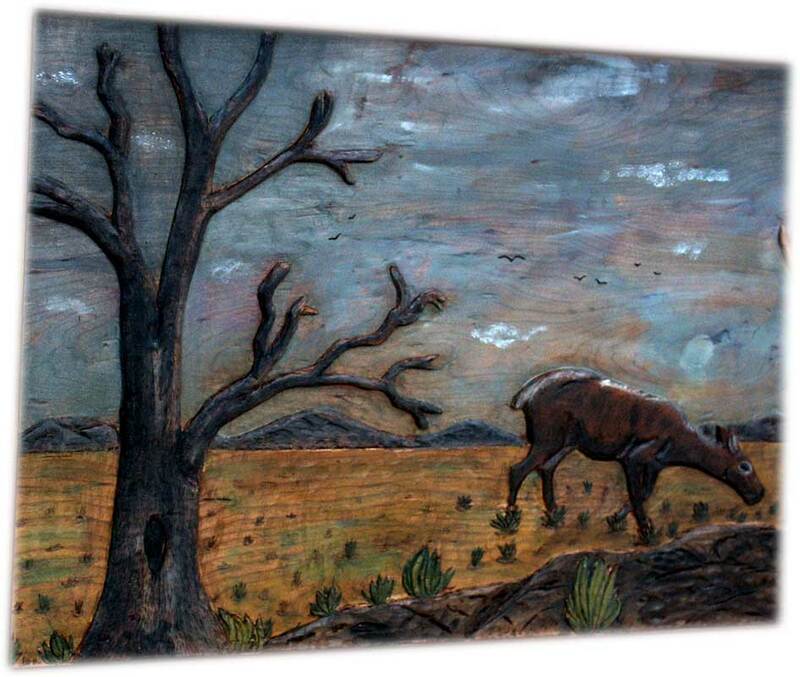 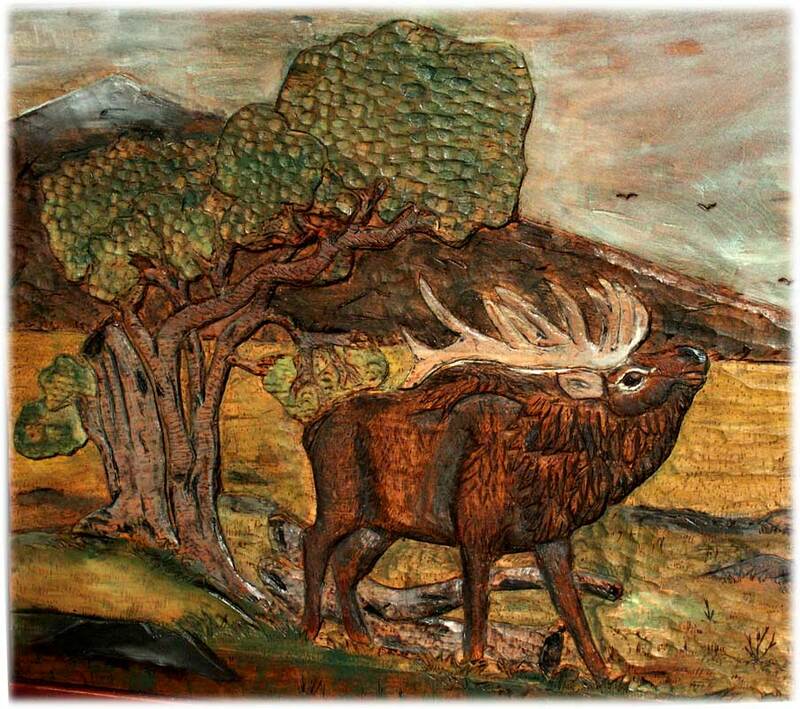 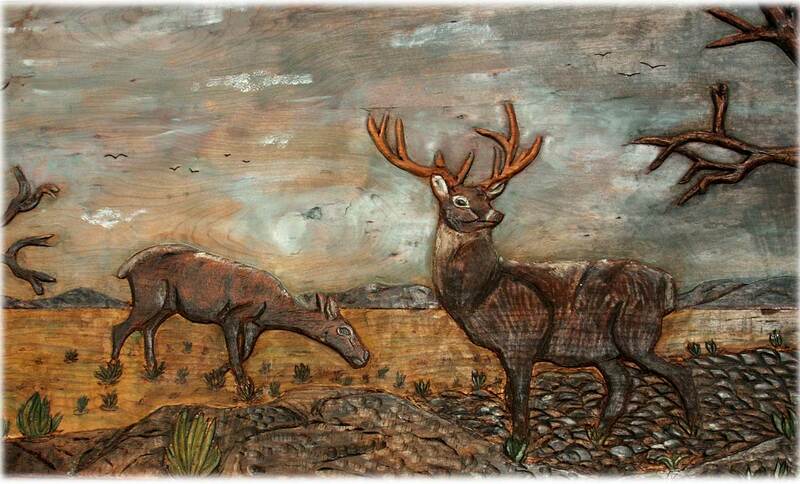 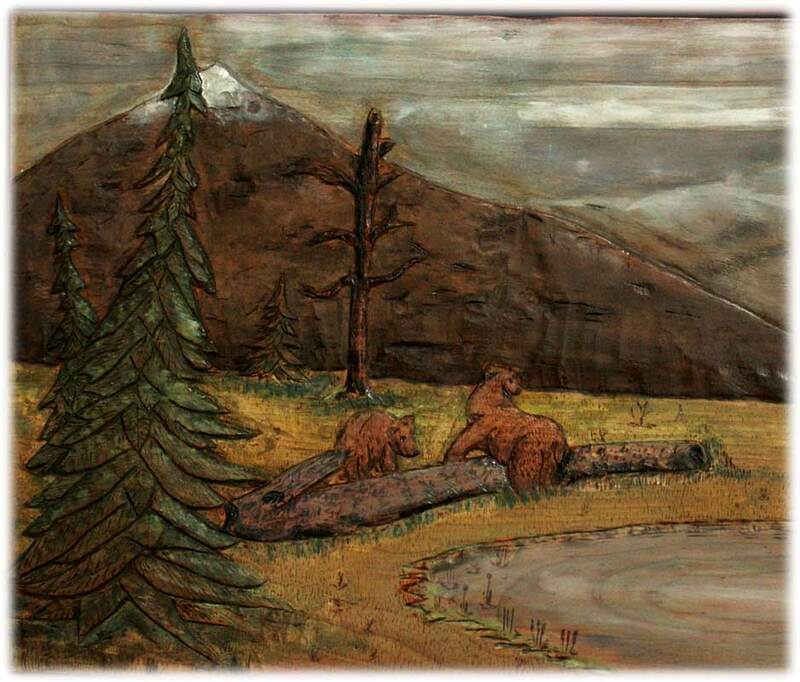 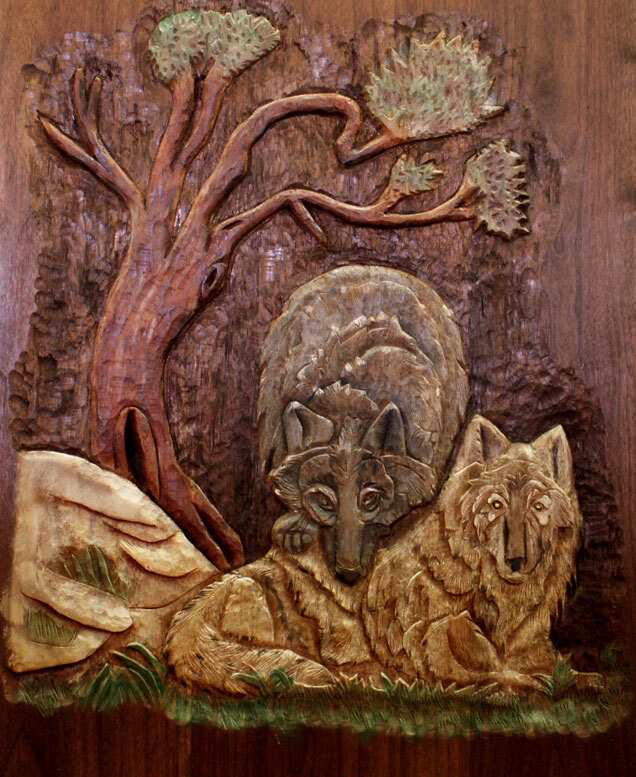 Wildlife carvings can be finished natural, or enhanced with color as shown above.